You cannot raise butterflies without reading The Very Hungry Caterpillar. I firmly believe that it is not allowed. And for good reason. 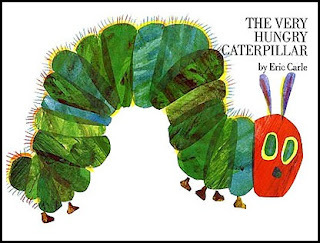 Kidlets love the predictable simplicity, the Eric Carle-ian illustrations and the miracle ending. 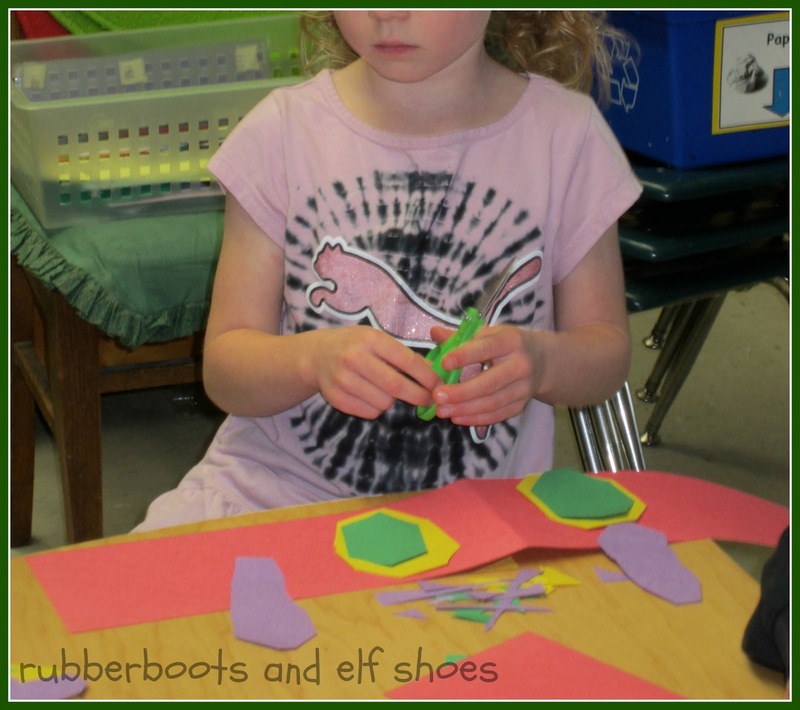 It is a perfect story for retelling. These girls took turns reading the book and putting the cards in the pocket chart. And the story frame lends itself perfectly for creating a new story. My kidlets love to eat. 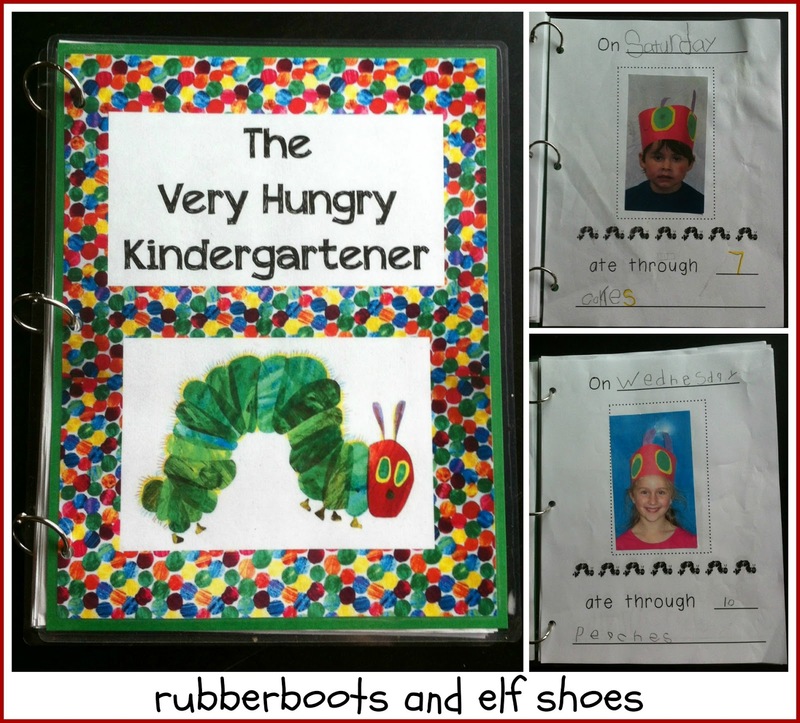 So we made a new book: The Very Hungry Kindergartener. 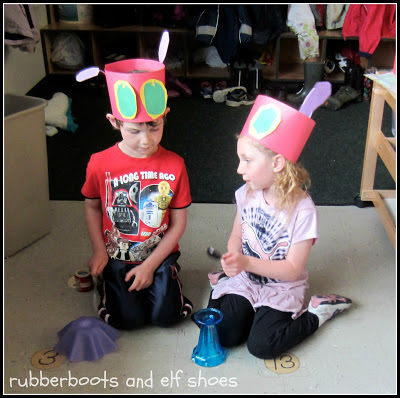 First job was to make caterpillar hats. Thanks ItMom for the great idea. It was one of those moments when everything worked together perfectly. A number of kidlets who had been struggling with making "curvy corners" figured out how to make them concave rather than convex. They followed multi-step instructions, helping each other. Basically making my heart sing. Boy did they look cute in their caterpillar hats. Next job was to decide what they were going to eat. And what day of the week it was. And write about it. We are practicing using environmental print in our writing, so they had to find the words in the classroom. They figured out where the food cards with the words printed on the back were pretty quickly! 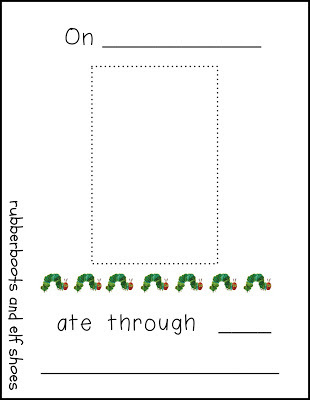 Click on the graphic to download a copy of our class book page. Thanks for the freebie, Sandi. I can use this in the fall.